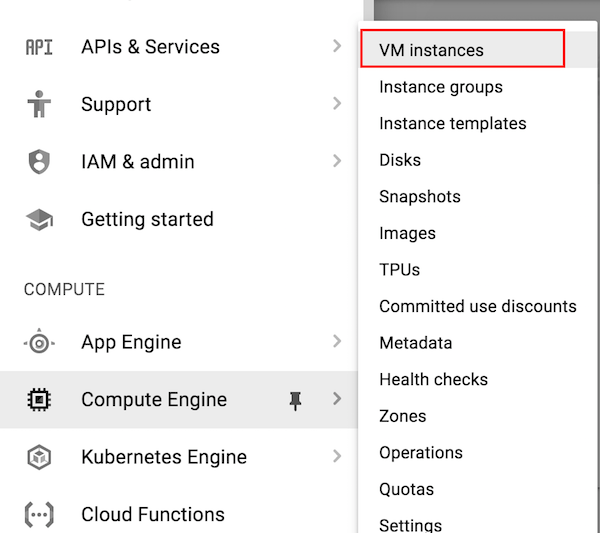 Navigate to the “Compute Engine -> VM instances” page. You will see a list of all the instances launched in your project. Click on the instance that corresponds to the node you want to connect. Once you are in the “VM instance details” page, go to the “Remote access” section and click the “SSH” button. NOTE: Remember to repeat the same operation to connect to each cluster node.